I've always had a special love for summer. Whenever anyone tries to tell me that any other season is superior, I just laugh and laugh and laugh, because I know nothing tops sunshine, not having to do homework, and using the heat as an excuse to buy outrageous amounts of ice cream. Still, we all become victims of summer boredom every now and then over break. But have no fear - here's a fun way to keep busy while fashioning yourself a pair of shorts that will keep you both cool and stylish. Start by cutting off the pant legs to create some sweet jean cutoffs. 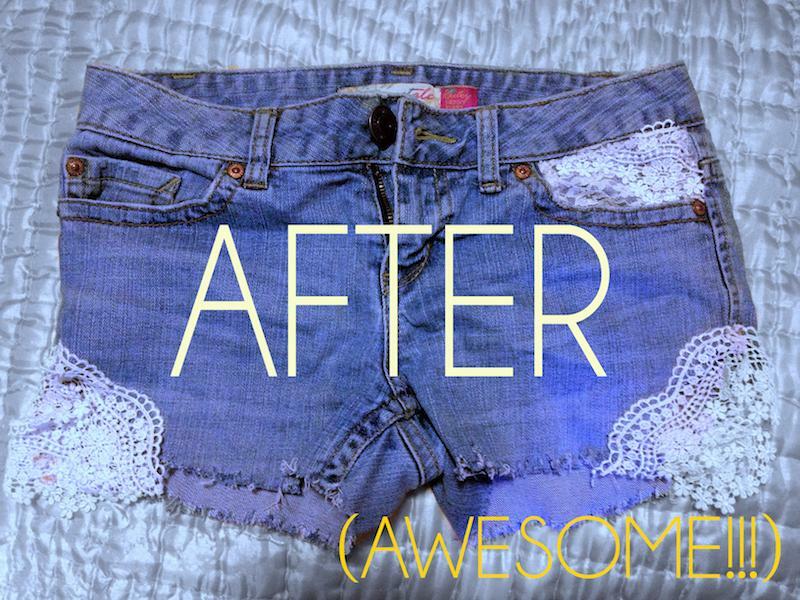 If you'd like, sew a little lace on the left pocket area to make things fancy already. 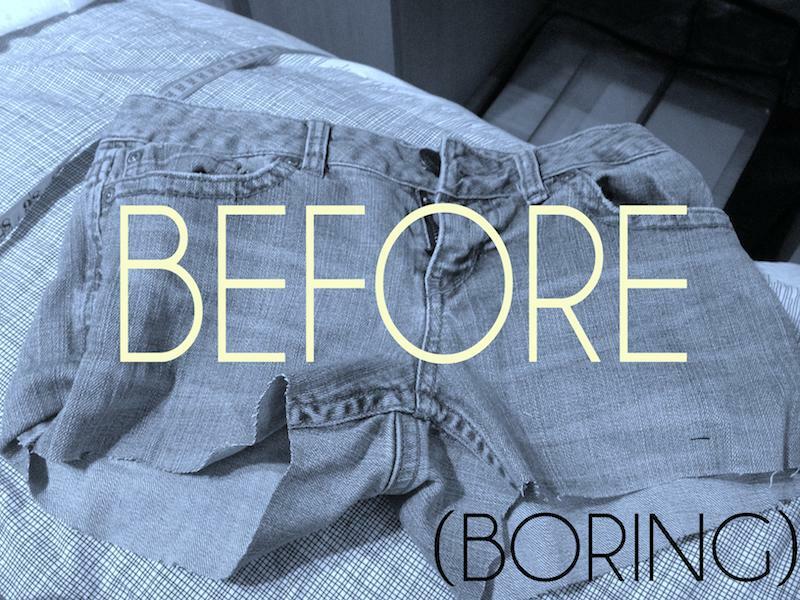 You can also use sandpaper and steel wool scrubbers to give your jeans a faded, worn-out look. Then angle out your lace like so! You'll wanna cut two strips that are about 4-5 inches long, or whatever length your chosen angle requires. Go ahead and use pins to secure the lace to the denim. Now you're free to sew that lacey sucker on! I like to have my lace overlap just 'cause. 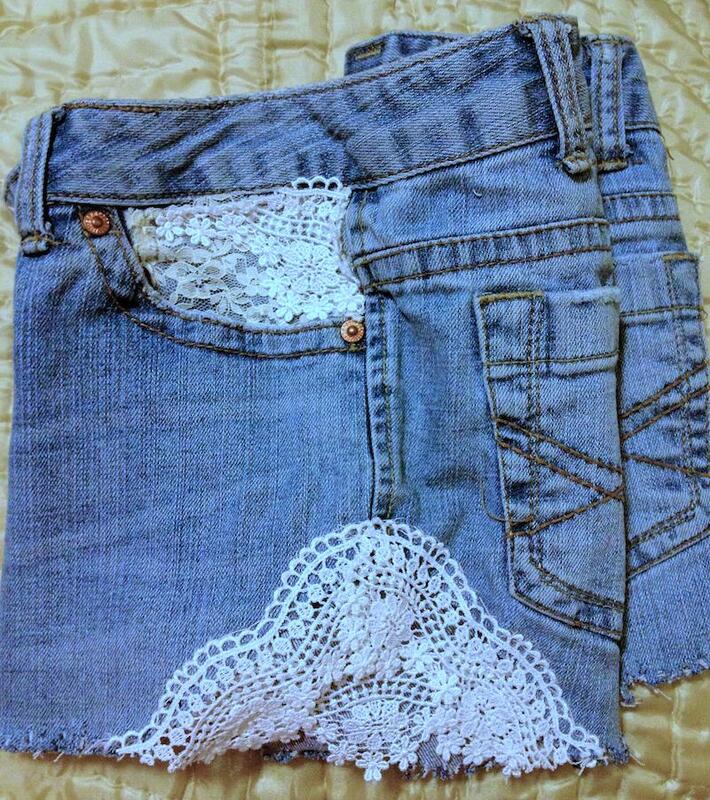 Cut out the denim underneath the lace. I cut out an upside down V shape...be careful not to cut the denim that your lace is sewed onto! 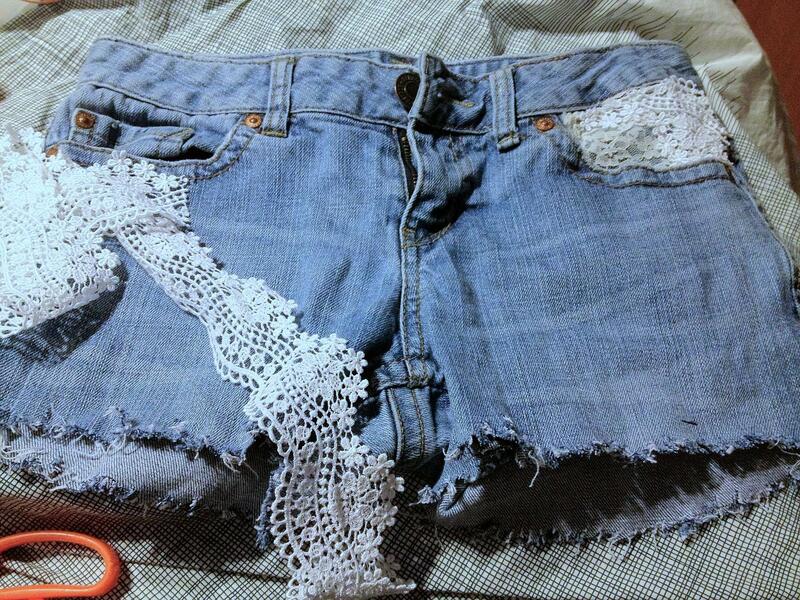 Again, sew another strip of lace to the denim, but this time horizontally instead of at an angle like before. Have this lace sewed on under the other lace. Fill up that gap! Then you do all this over again for the other side and voila! 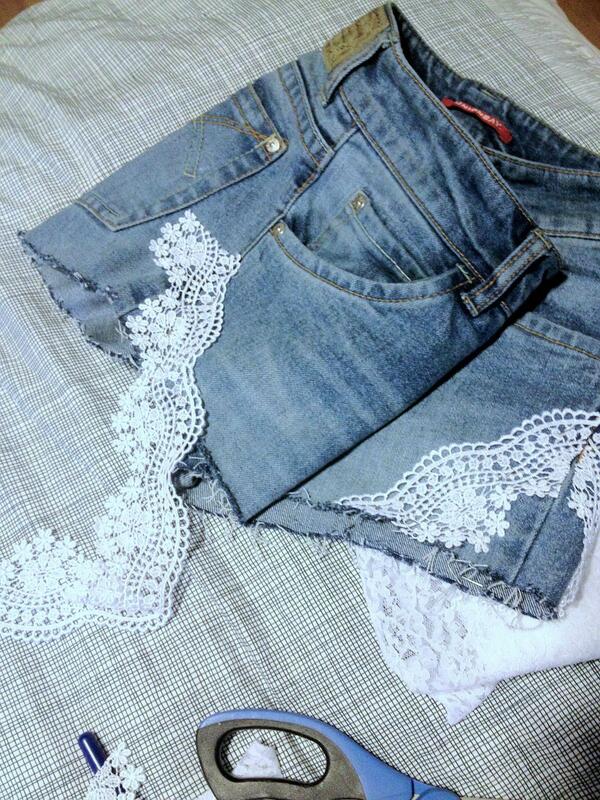 You've got your very own laced denim shorts! Easy right?! I'm super stoked to be sporting these this summer. Stay tuned for more simple crafts projects on the BARE blog! So cute omg! Doing this immediately.